I haven't done a 'favourites' post for a while because for the first few weeks after my surgery I just wasn't that in to beauty products. I wasn't going anywhere so I didn't feel the need to put make up on (who was I???) or blow dry my hair. And then one day Mike said my naturally dried hair looked like 'two spaniels ears' and I decided it was time to get back in the game. The trouble is, without the pressure and time constraints of having to get to work in the morning I now have a rather leisurely approach to getting ready-taking 1.5 to 2 hours to shower, blow dry my hair and apply makeup. I am such a ditherer and will need to sharpen up when I go back to work! I am really enjoying make up again though and here's what is currently top of the charts in my world. 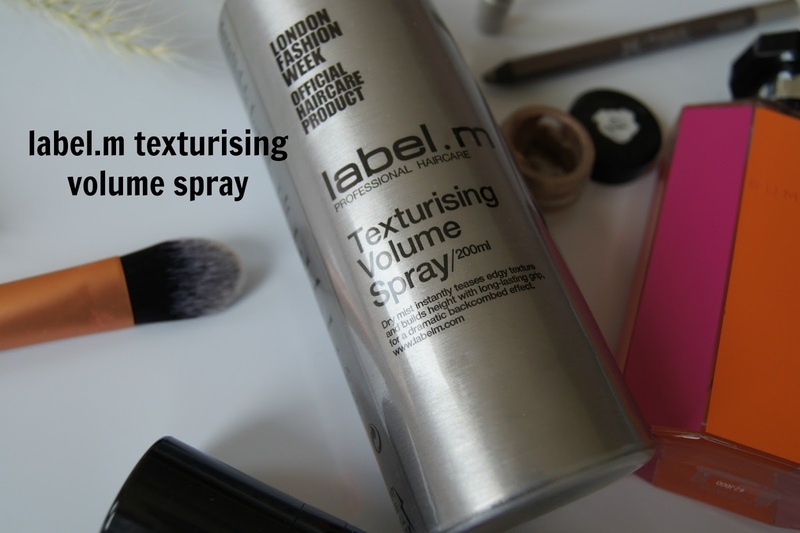 LOVING this texturising volume spray from label.m. When I was in London in June I stayed at my best friend Danielle's home and she had this. I tried it and instantly loved it. It's a fantastic texturising spray for fine and flat hair like mine. After blow drying and straightening my hair I lift up my roots and spray this directly into them. It adds the 'grit' my hair needs to keep it in place and looking clean and fresh all day. 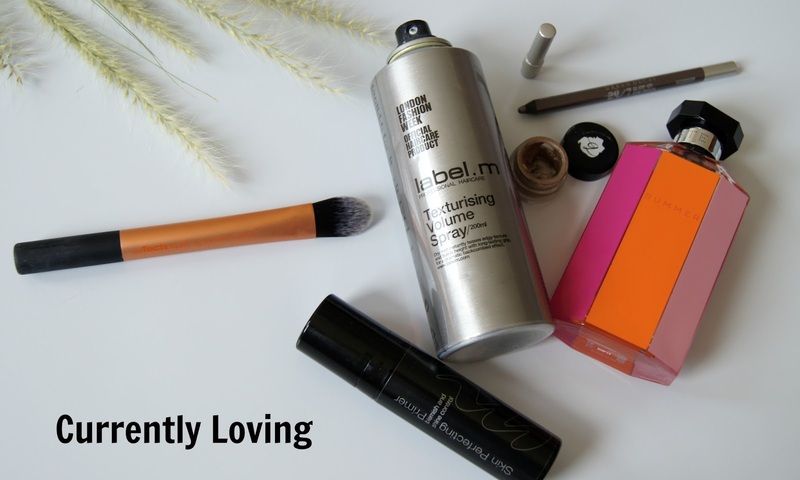 It has qualities of a hairspray and dry shampoo as well and it just 'works' for me. I bought 4 in the UK from Toni and Guy where it retails for £12.95 and Vanessa bought me another 3 when she came to stay. It smells amazing-really fresh and fruity and is a dry clear mist-no powdery residue. No idea where the lid is, anyone who owns a cat will know when it comes to lids on anything it's a case of them or the lid-you can't have both. There is a slightly cheaper dupe out there in the Charles Worthington Salon at Home Volume and Bounce Texturising Spray but the label.m just has a longer lasting hold. 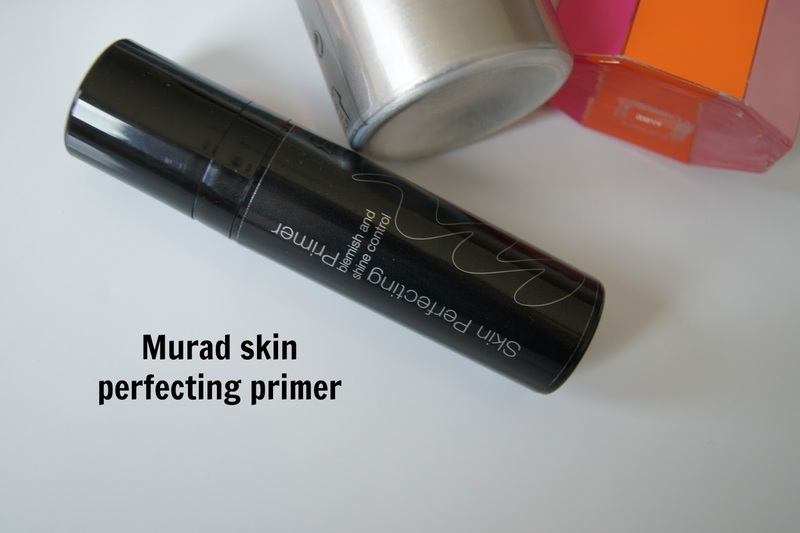 A very recent new discovery for me, the Murad skin perfecting primer was enabled by Rebecca from Be Beautiful who is one of my ultimate enablers. This primer is tinted and I was horrified when I first opened it and saw how dark it was as it's a good 3-4 shades darker than my natural skintone. But this is a universal primer, suitable for all skintones and it is completely undetectable on my skin when I apply it. This primer is oil free but doesn't instantly mattify the skin-once applied it makes my skin look even but it doesn't blur pores. Foundation applies beautifully on top and my pores look slightly smaller. I still need to powder but I have an oily t-zone and nothing keeps me shine free for more than a few hours but my makeup sits really nicely on top of this primer. It does contain silicone (7th on the ingredients list) but the formula has no velvety, silicon-y feel to it and has a very bb cream type texture. It's a bit pricey at £29 but it's fitting into my routine nicely at the moment. I have owned this brush for so long but have never liked flat foundation brushes so had relegated it to the 'concealer brush' section of my Muji storage-which it also does a great job at doing. I was watching Nic from Pixiwoos 'Kylie Jenner tutorial' on youtube last week and she explained the difference between the Real Techniques buffing, expert face and pointed foundation brushes (I own all of them). 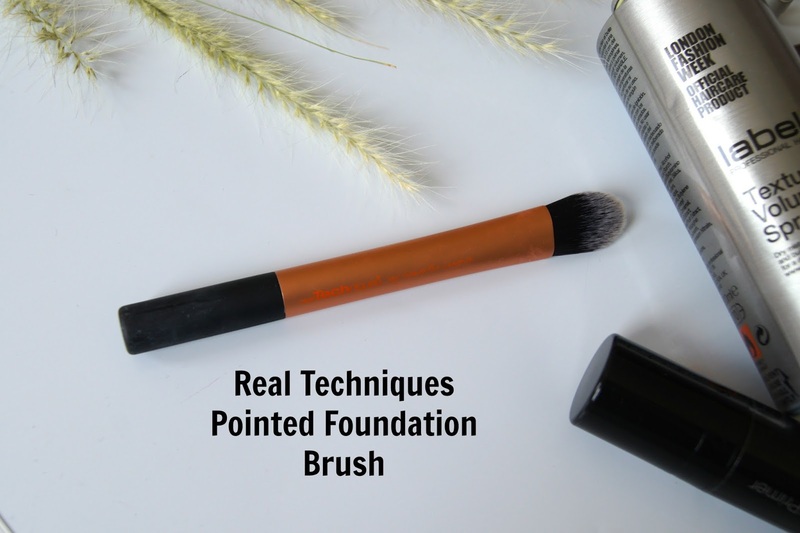 She said that the pointed foundation brush could achieve the heaviest coverage as you literally paint the foundation on. I love heavy coverage and decided to give it a go and she's right! The bristles are so tightly packed it leaves no brush strokes on the skin and it's just so easy to use with liquid foundation. You can only buy this brush as part of the 'core collection' which is around £20 for 4 brushes but honestly, the Real Techniques brushes are such good quality, there aren't any I wouldn't recommend. And I've paid more for one brush from MAC several times. 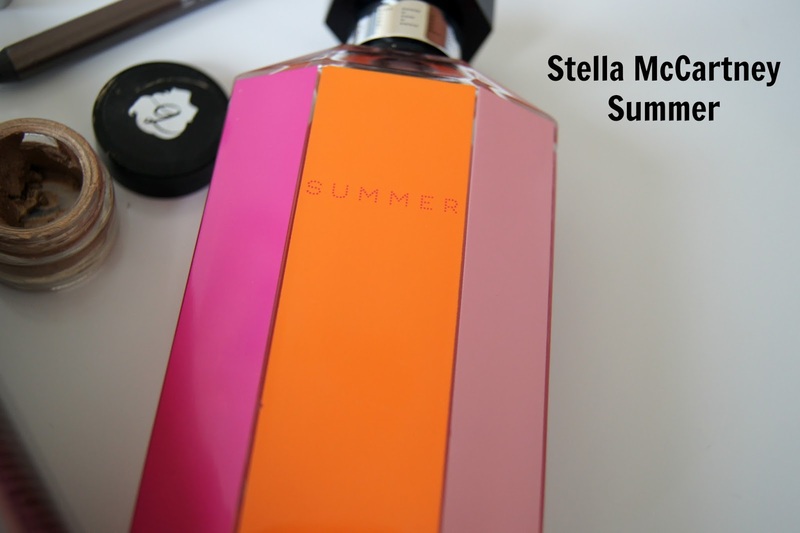 I'm going to switch up to a more Autumn appropriate perfume soon but I have really been loving the Stella McCartney 'Summer' scent. Since surgery I have had an aversion to a lot of smells. Vanilla being one. Still now it literally turns my stomach. I have been liking this as it's so light and fresh and delicate and doesn't make me want to vomit! Green apple, lemon, rose, peony and a base note of amber make this totally non offensive to my nostrils! Urban Decay just do the best kohl eye pencils in my opinion. I am going to do a post on all the ones I own soon as I love them so much! I have started using eyeliner a lot more as I think it helps to define my eyes more and make them look more awake. 'Mushroom' is a metallic taupe with an even balance between grey and brown and suits my green eyes. The formula is so smooth and easy to use-these are great eye pencils and Mushroom is the one I have been reaching for the most. They're also one of the only eyeliners that show on my waterline. 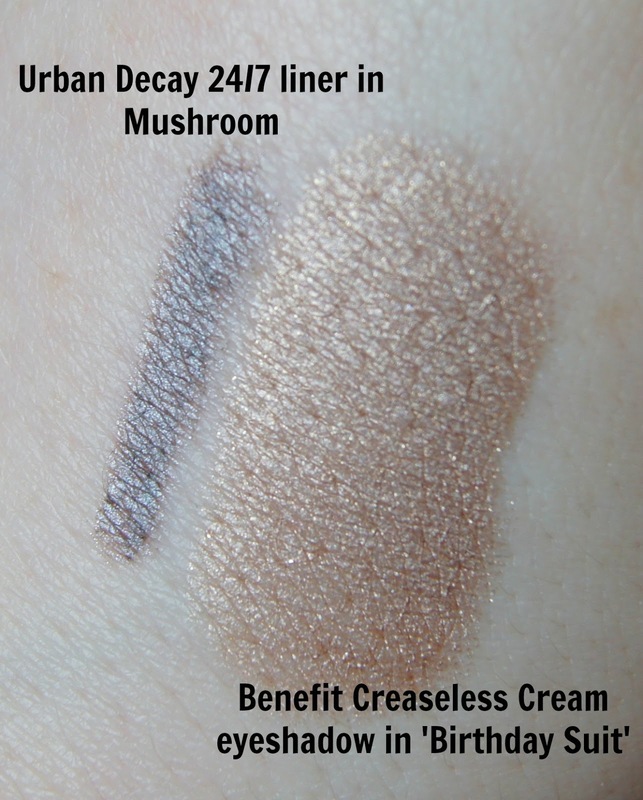 The rediscovery of the Benefit creaseless cream eyeshadow in Birthday Suit was a real 'shopping my stash' triumph moment. This was a small size pot from the 'Worlds Greatest Neutrals' gift set but I loved it enough to go out and buy the full size. 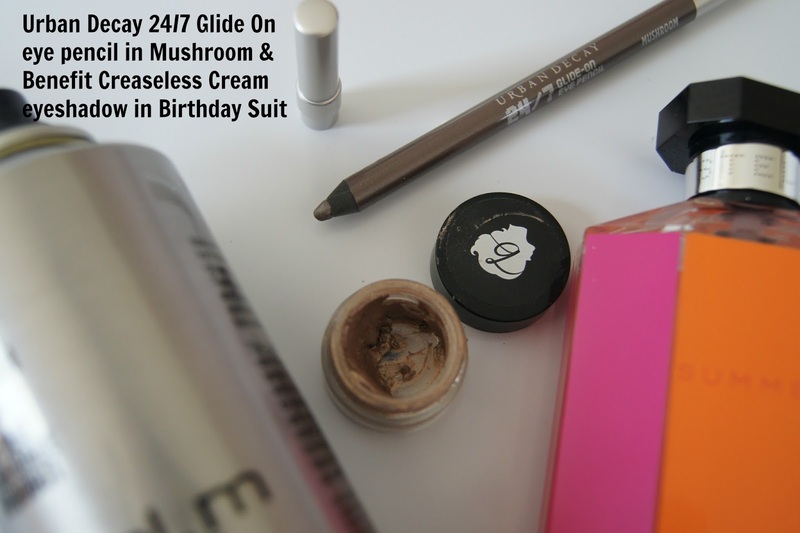 Birthday Suit is a cool golden bronze cream, it applies seamlessly to the lid (I prefer to smudge on with my finger) and it's the perfect lazy make up day wash of colour or a great base for a powder on top. It doesn't dry out or crack on the lid (my pet hate with cream shadows) and stays put all day. What have you been reaching for most recently?